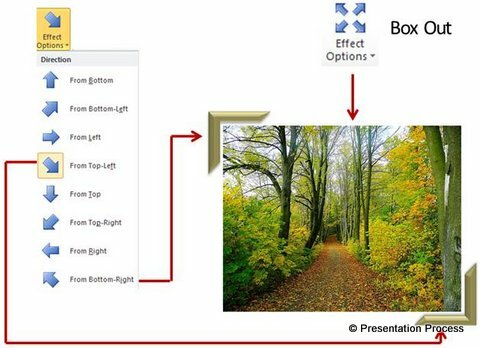 Discover the power of combining multiple animations of photo and shapes in PowerPoint. Get inspired to create interesting effects for your business presentations. We created the effect by combining two types of animations. Can you guess what they are? Answer: ‘Fly in’ and ‘Box’ animations. If you answered correctly, you are already familiar with combining animations to good effect. 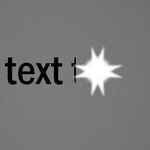 If you couldn’t answer correctly, this article will teach you how to create the effect in a step by step way. 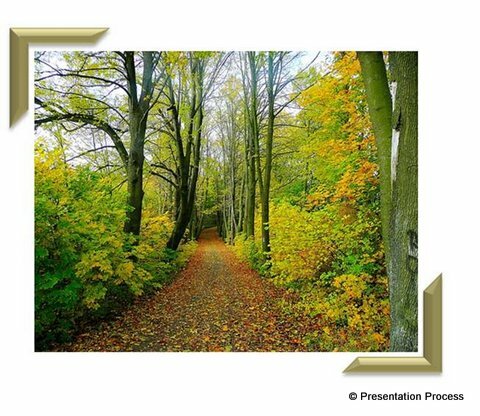 You can use the effect to showcase pictures or text in your business presentation. We used two shapes to create our graphic. The first is a ‘Rectangle’ filled with picture. The second is ‘Half-frame’ where we applied a preset from ‘Shape effects’ option. The delay allows the photo to box out after the half frames cross each other. When you play the animation you get the result you saw at the beginning of the article. 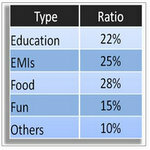 Thus, by combining multiple animations in PowerPoint you get some remarkable results to impress your business audience. Go ahead and experiment to get your own variations. You may not always have the time to experiment with various animation options to create your business slides. 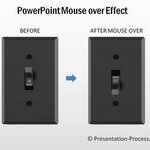 That is why we came up with our 630+ Advanced Custom Animation Templates for PowerPoint. The templates pack has graphics, models and concepts to help you visualize your business ideas in an interesting way. The templates pack is an essential investment for those involved in making eLearning presentations, training presentations and marketing presentations uploaded on the web. Here is another example from the animations pack showing effect of click to reveal photo and text. 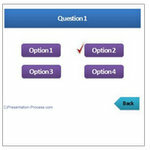 All the above examples are taken from our ‘630+ Advanced Custom Animation Templates for PowerPoint’. Just choose the template that matches your thought and replace sample text with your own text. 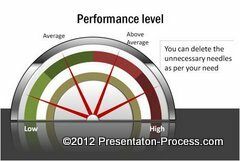 Your business slides get ready in no time. Why waste time animating your business slides from scratch, when you have such high quality solutions available off the shelf? Please browse through our animated templates collection here.